It’s happening! 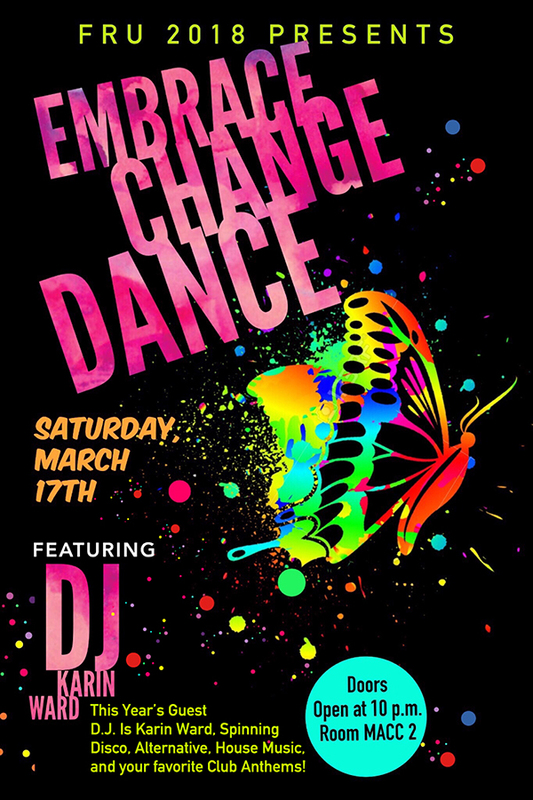 Come embrace the change and dance your heart out with DJ Karin Ward on Saturday, March 17th. She’ll be spinning Disco, Alternative, House Music and your favorite club anthems! Doors open at 10 pm, room MACC 2.